Nabsite is a Bay Area company that provides HDR photography, virtual tours and floor plans through a proprietary technology. The owner Mike had been operating with out a website and struggled to explain to potential clients what exactly it was that they did. Our objectives for the website were; to disambiguate his services, educate clients on why Nabsite was superior to traditional drafting and photography and target key industries by demonstrating benefits specific those fields. Throughout the site and in a portfolio section we showcased Nabsites stunning photography and their notable clients. 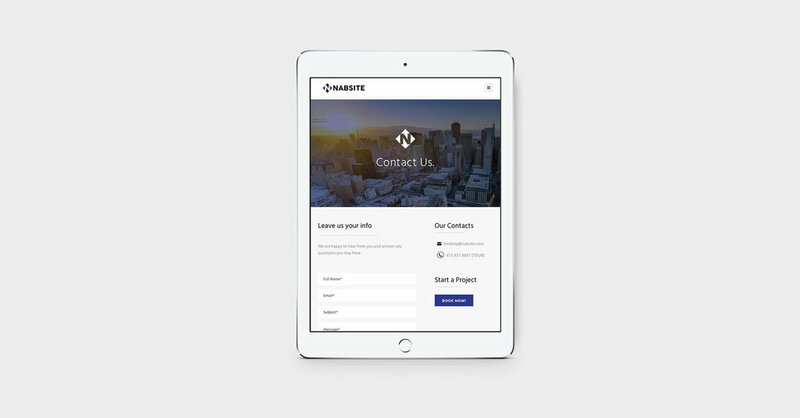 Additionally we created a tailored booking system and integrated it throughout the site to capture leads and provide a simple way for Nabsite to collect the necessary client information for a job.